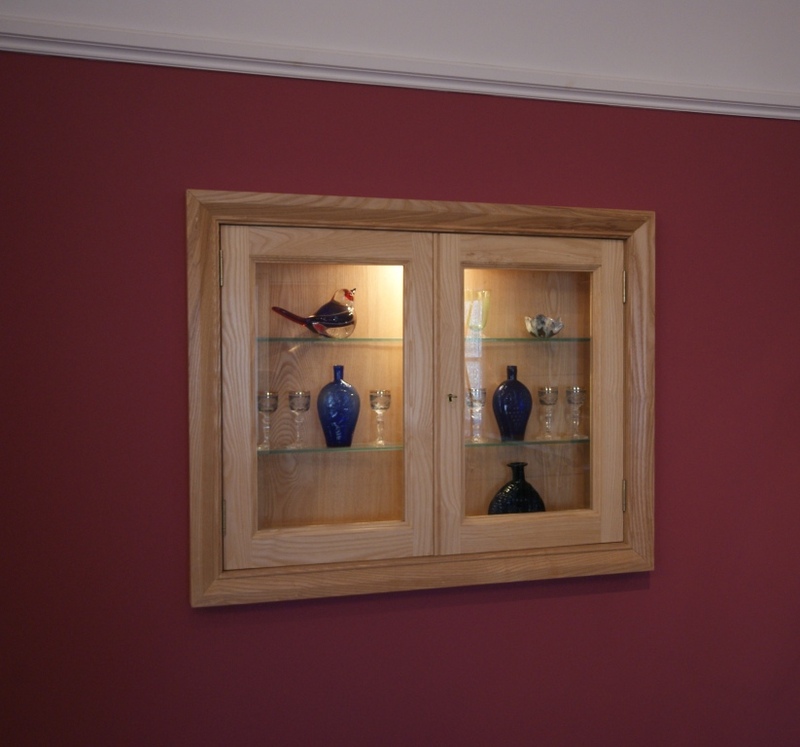 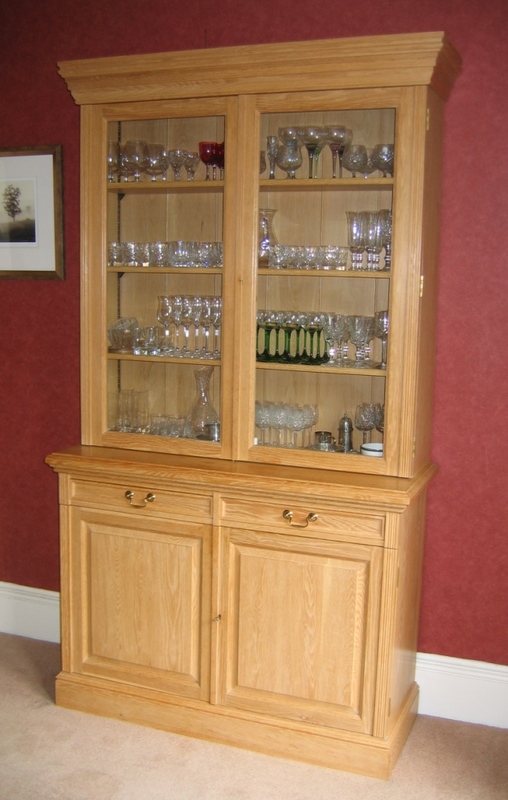 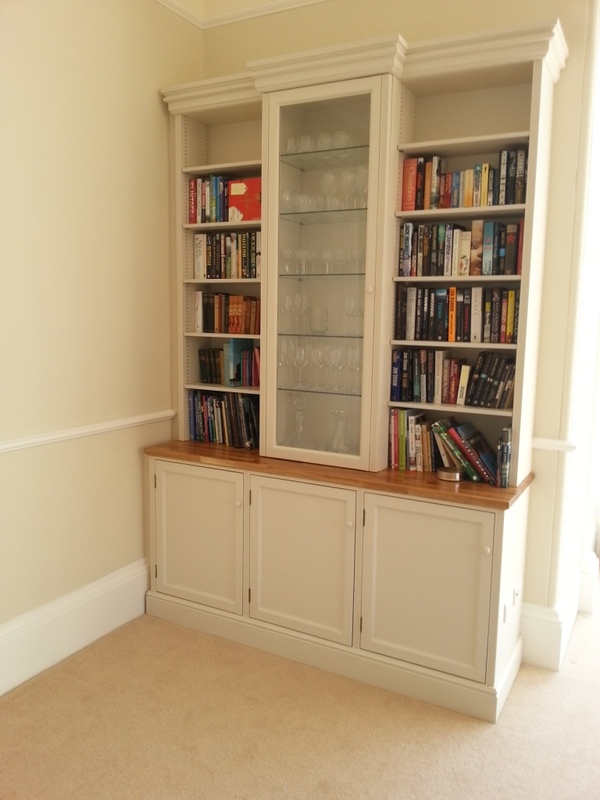 For all aspects of specialist woodwork, including cabinet making and bespoke manufactured architectural joinery, free standing or built in/ fitted bespoke furniture made to commission, carried out to a high standard. 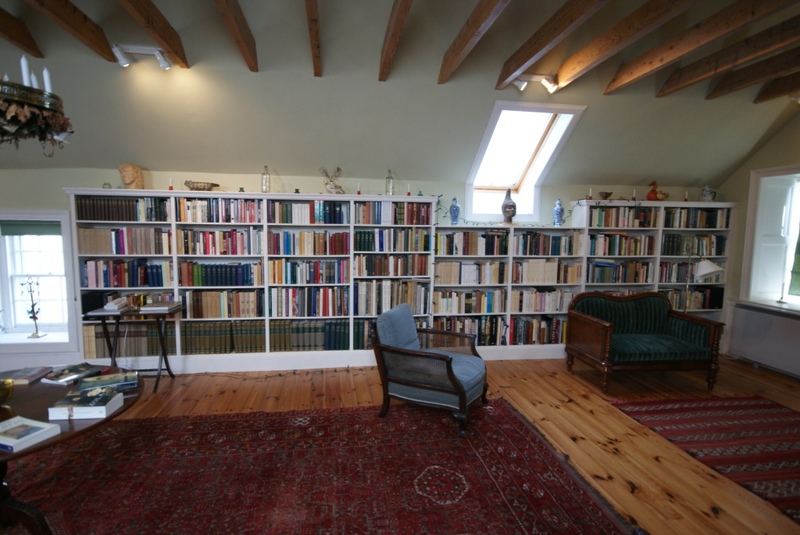 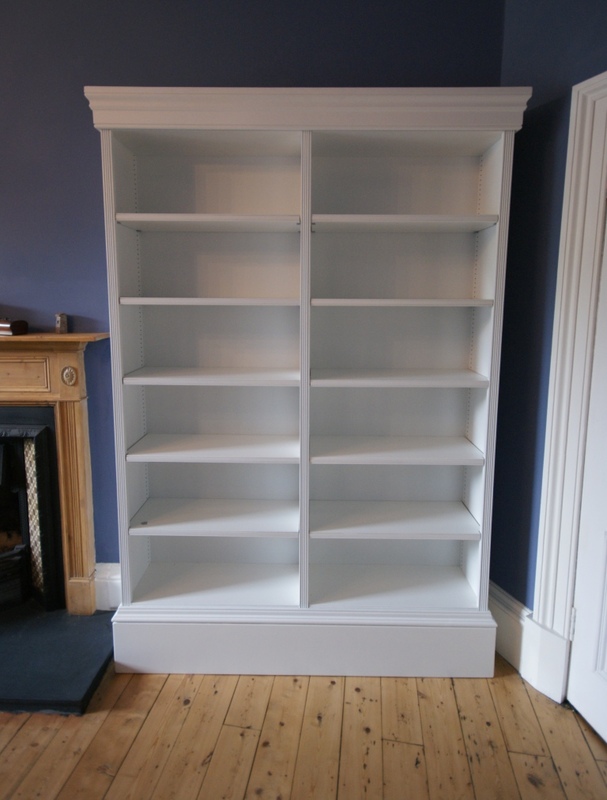 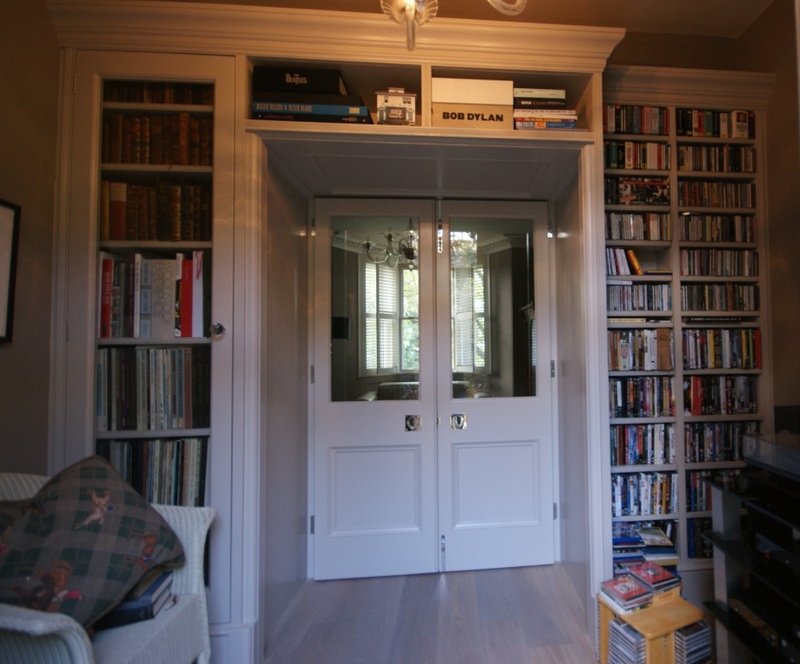 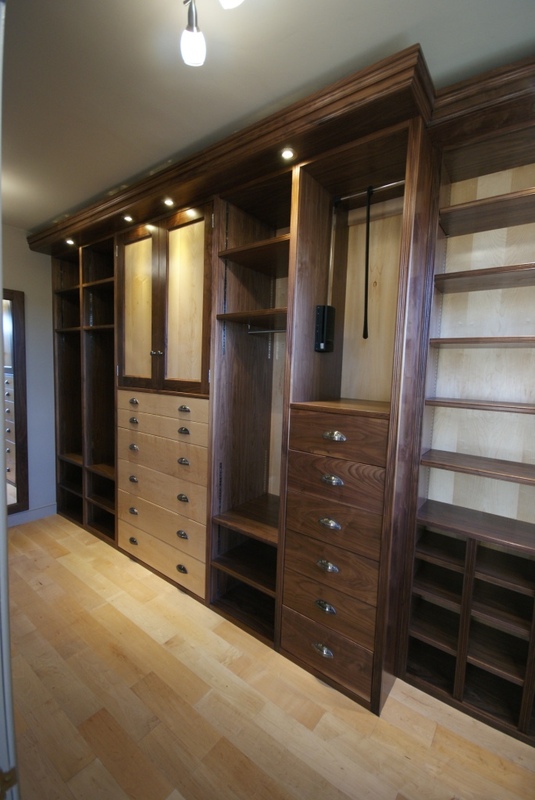 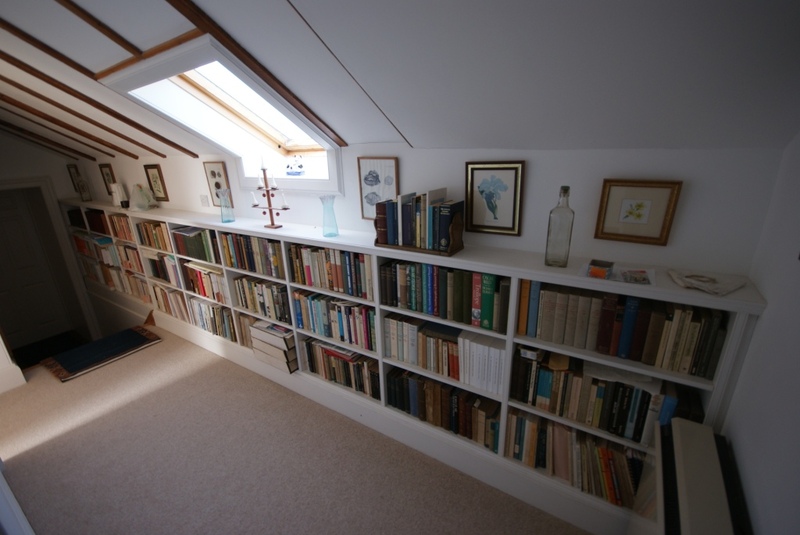 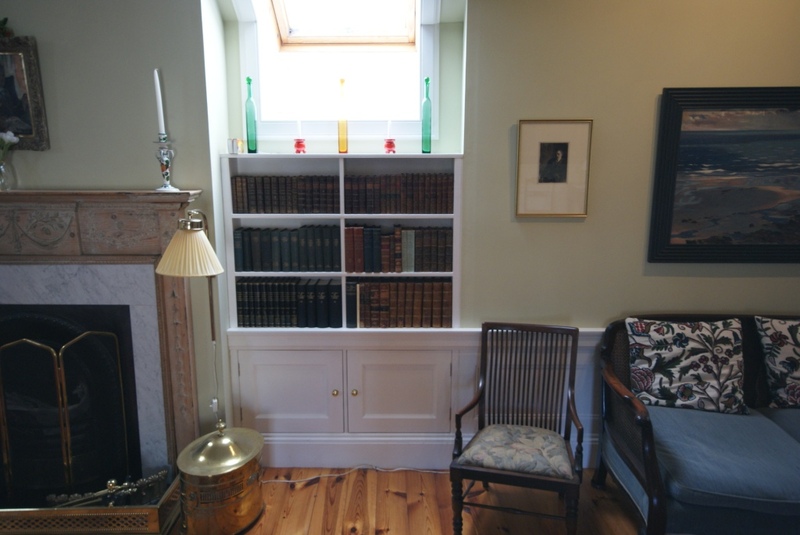 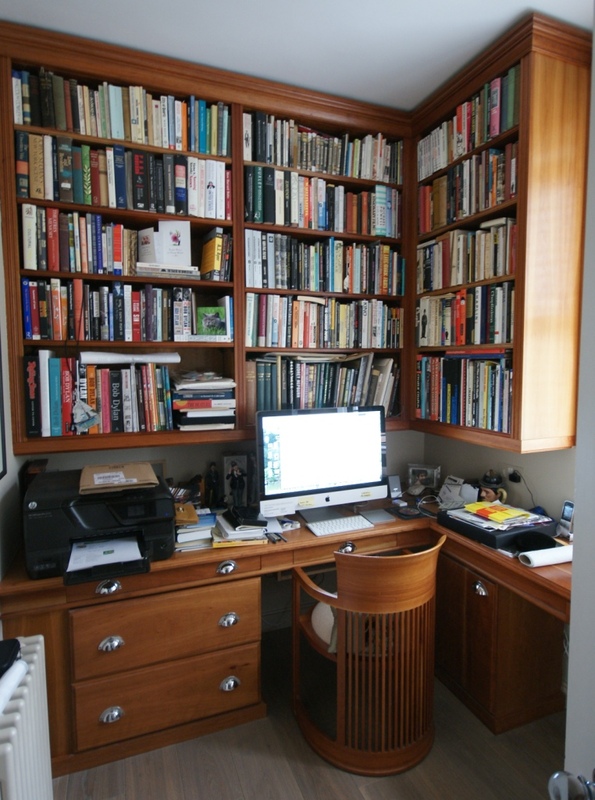 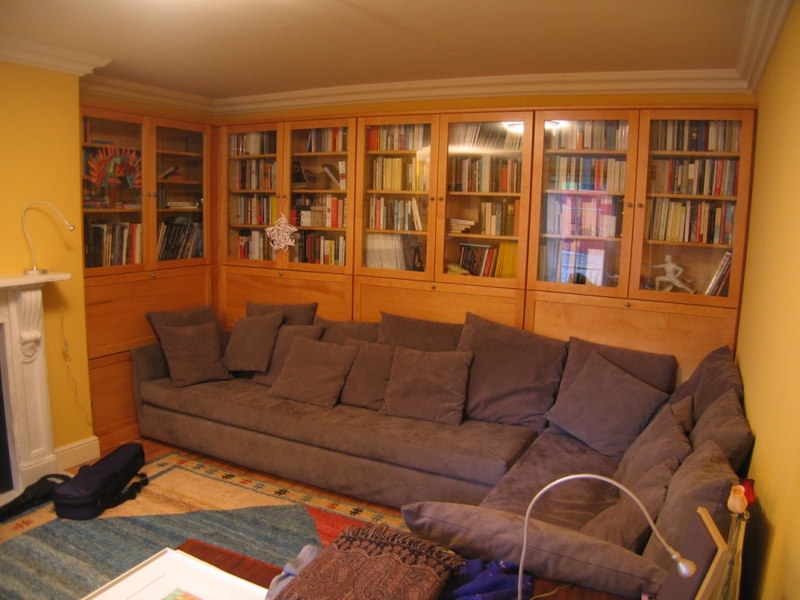 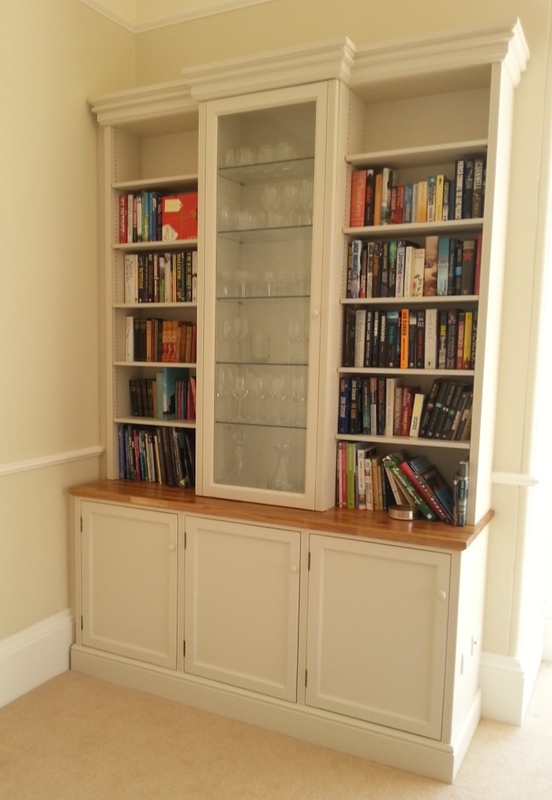 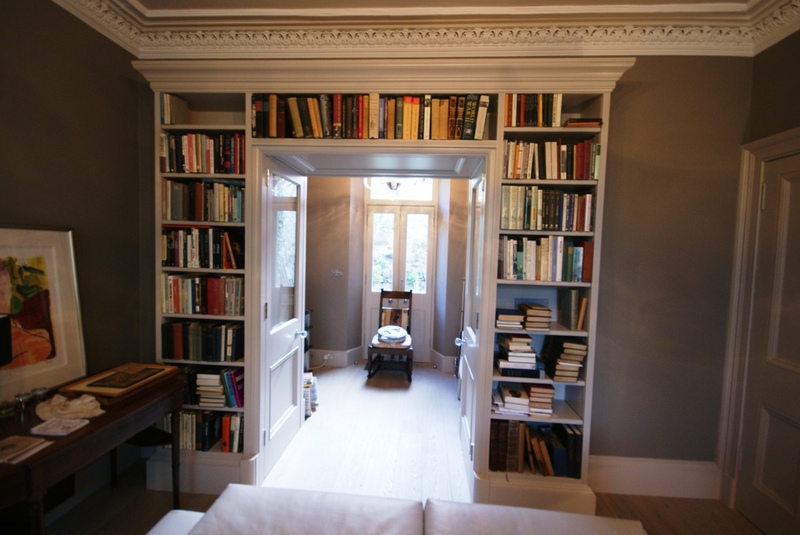 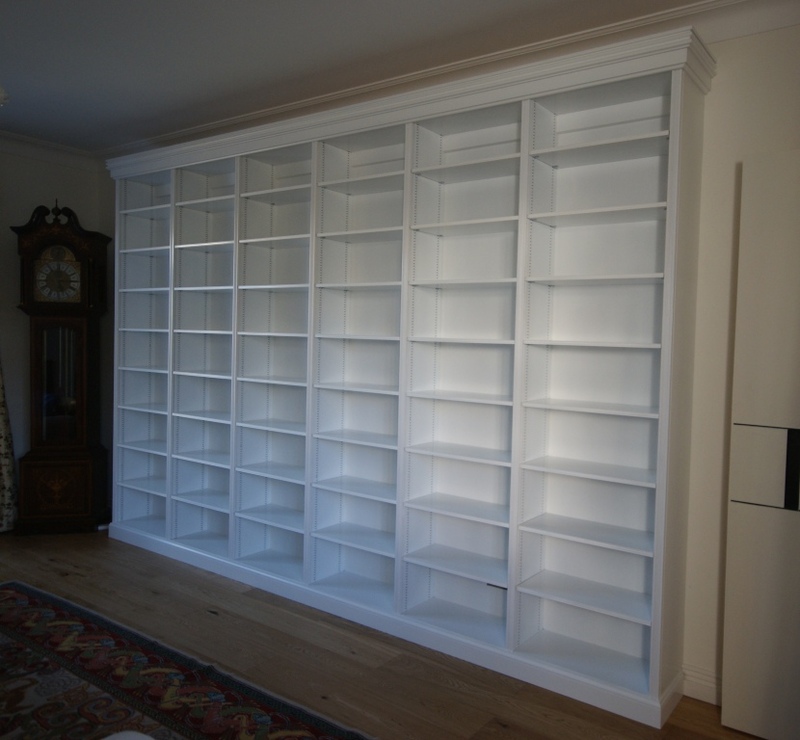 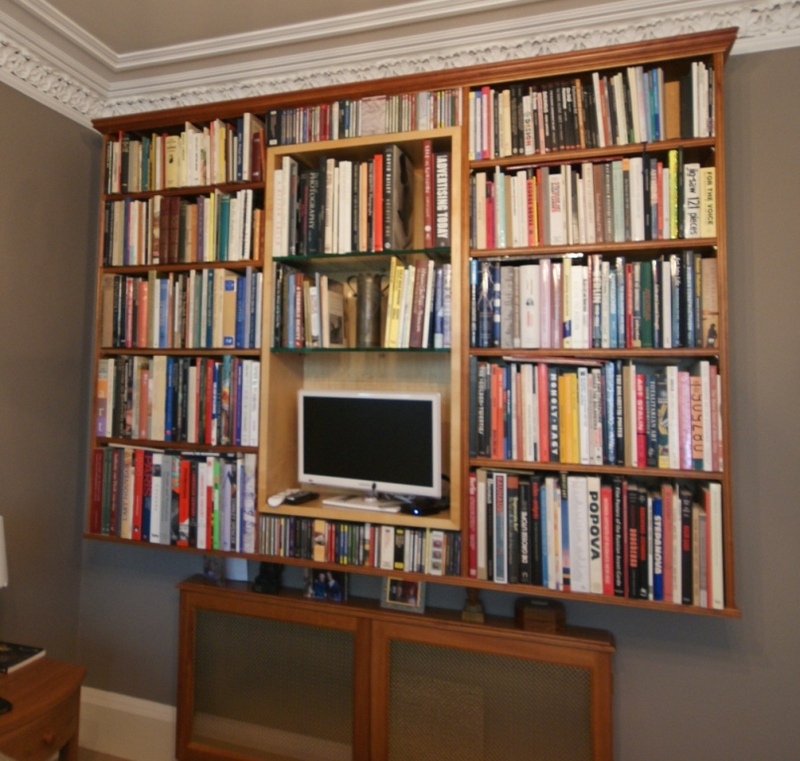 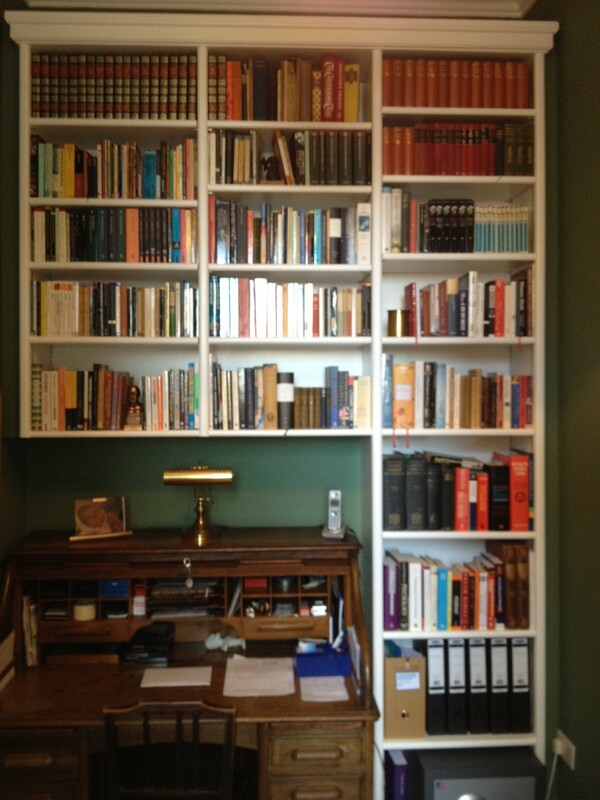 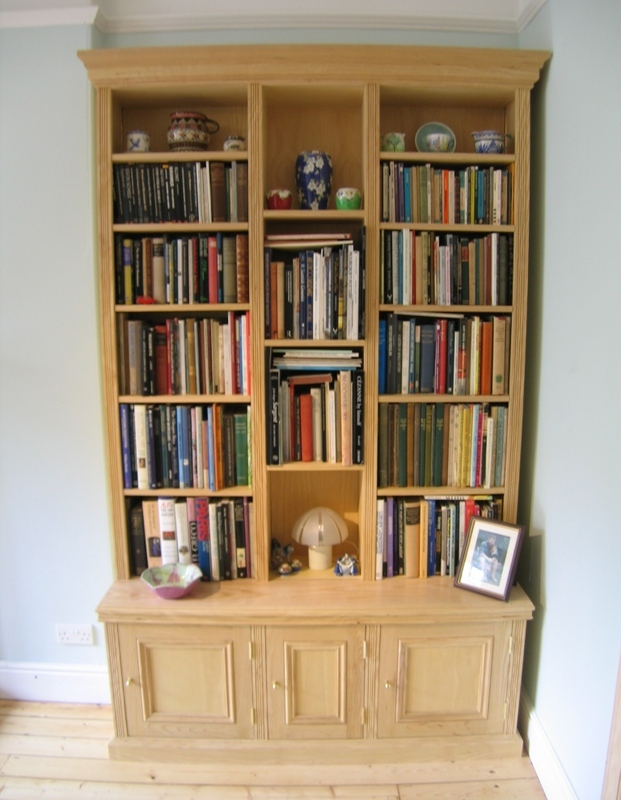 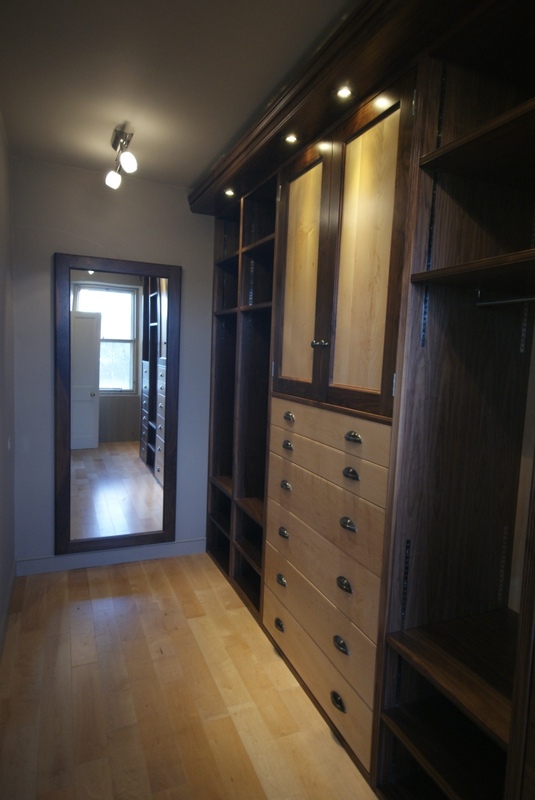 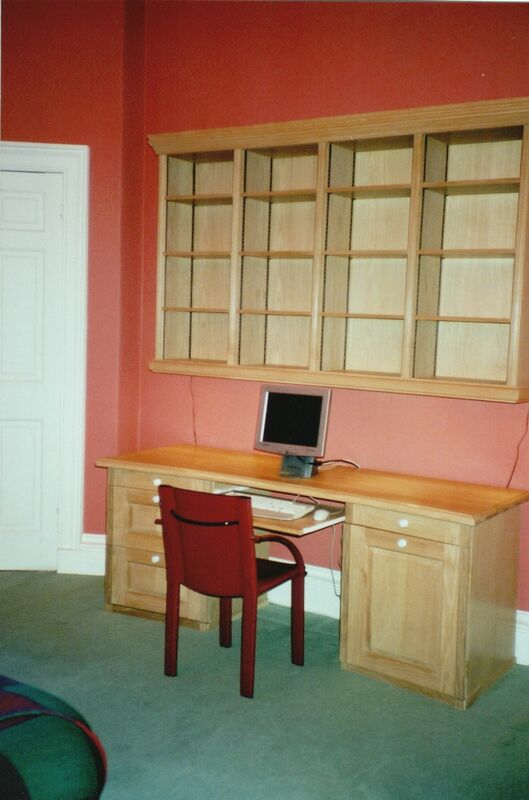 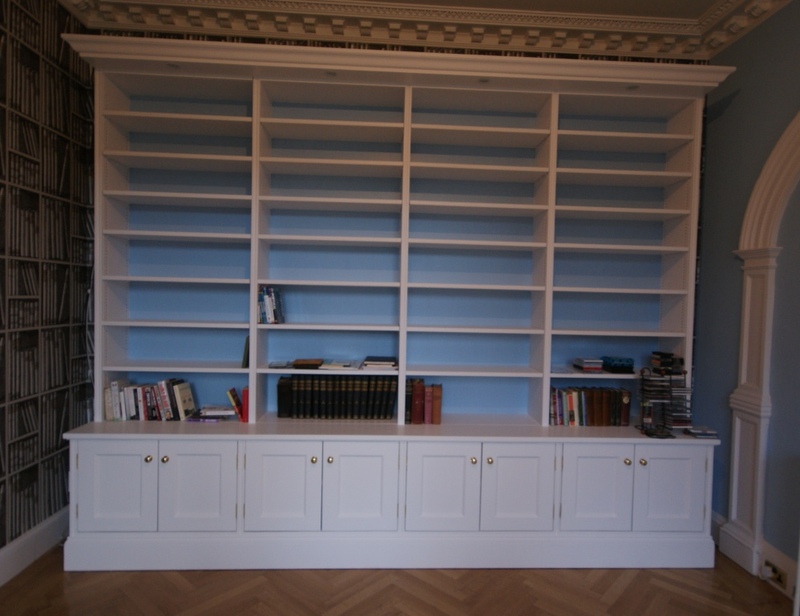 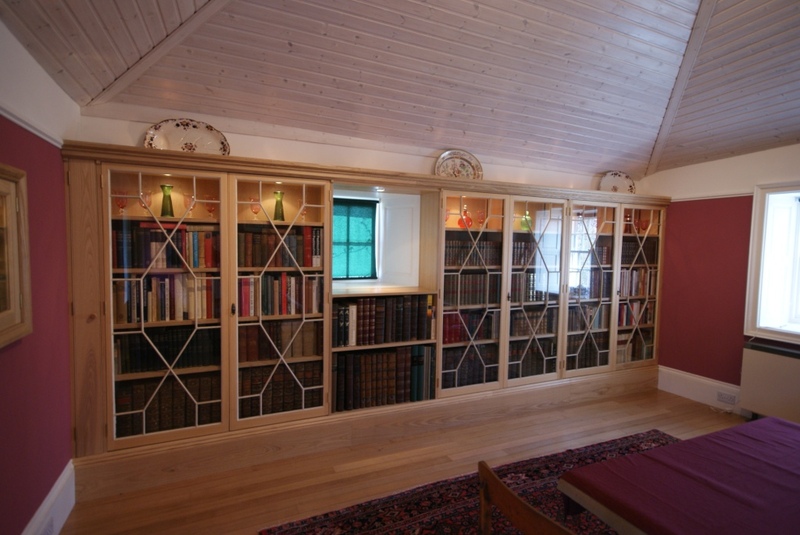 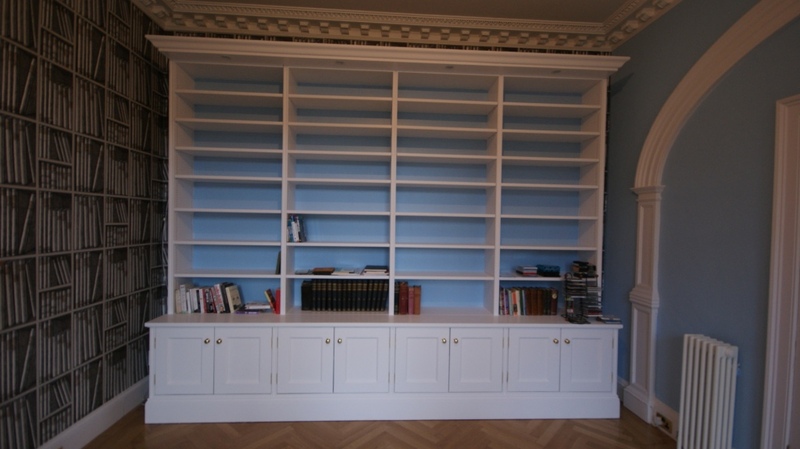 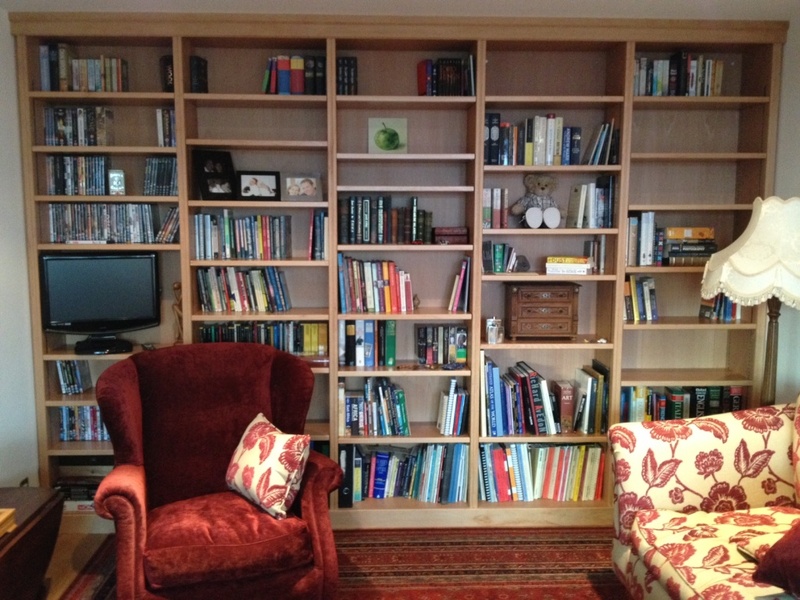 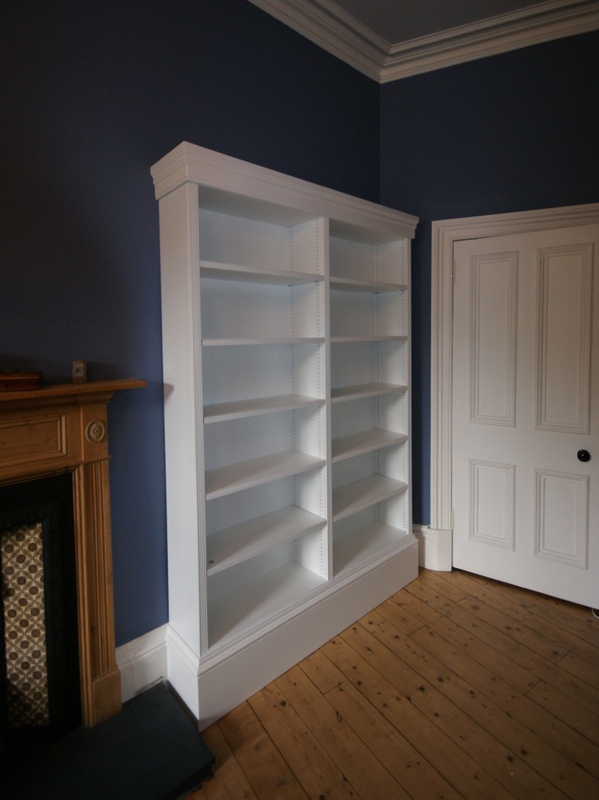 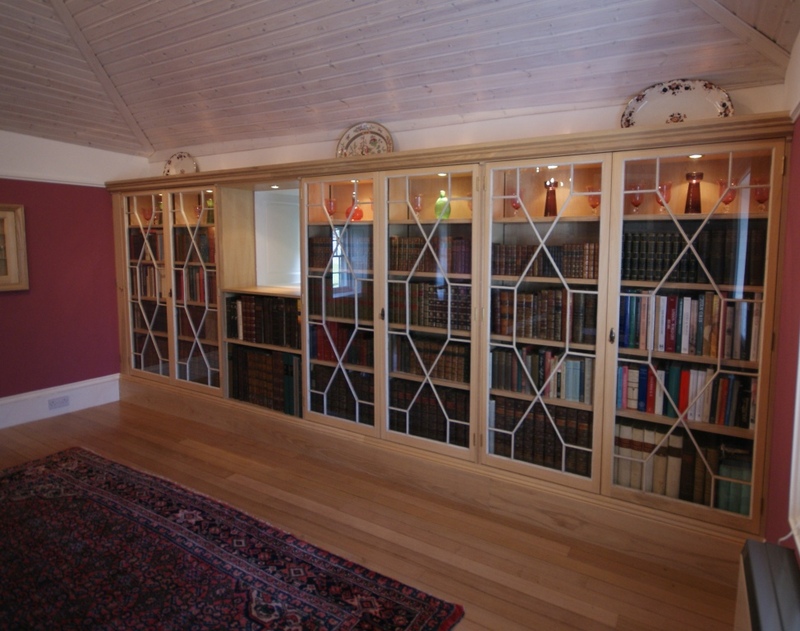 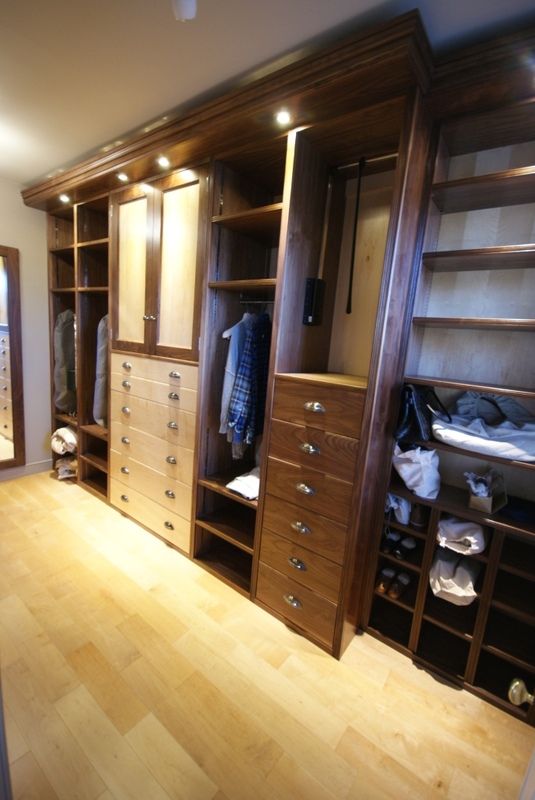 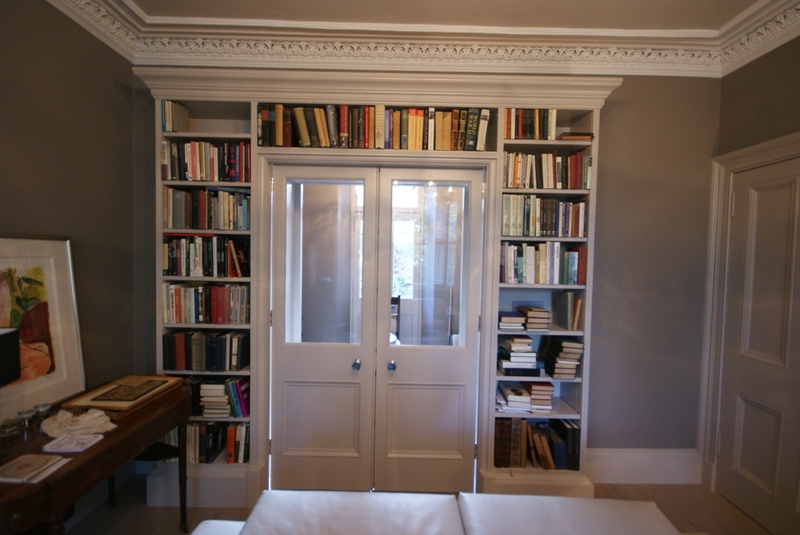 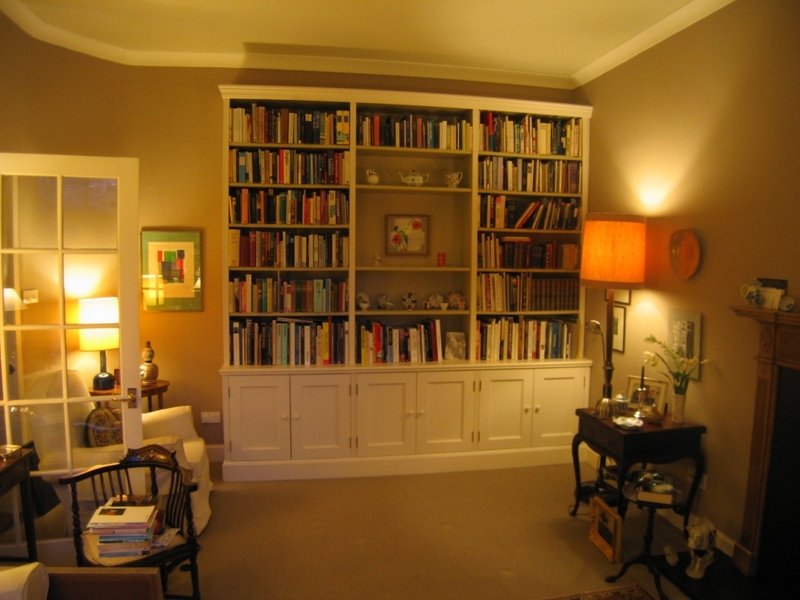 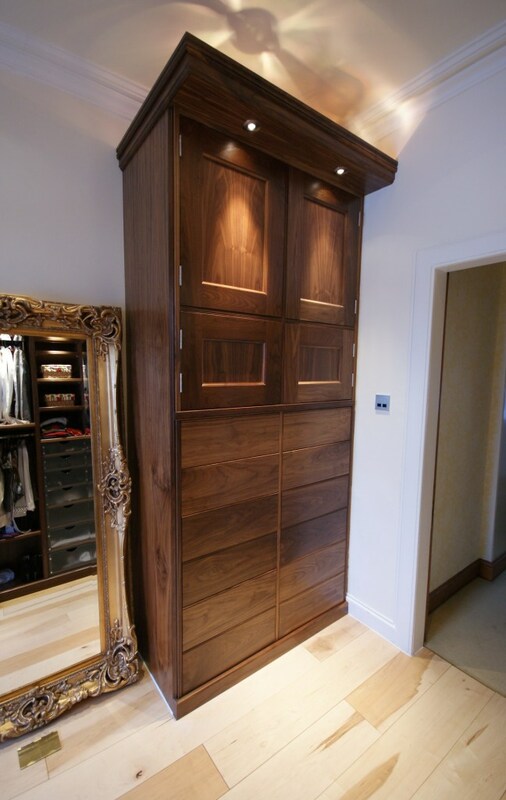 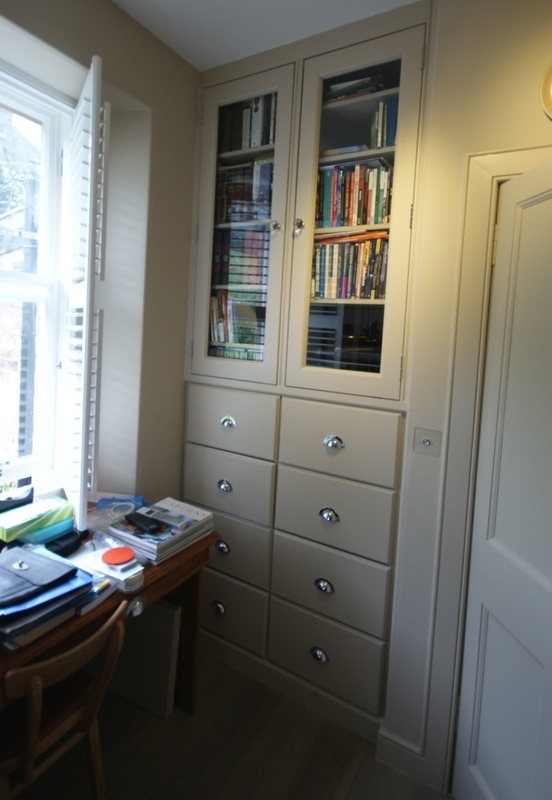 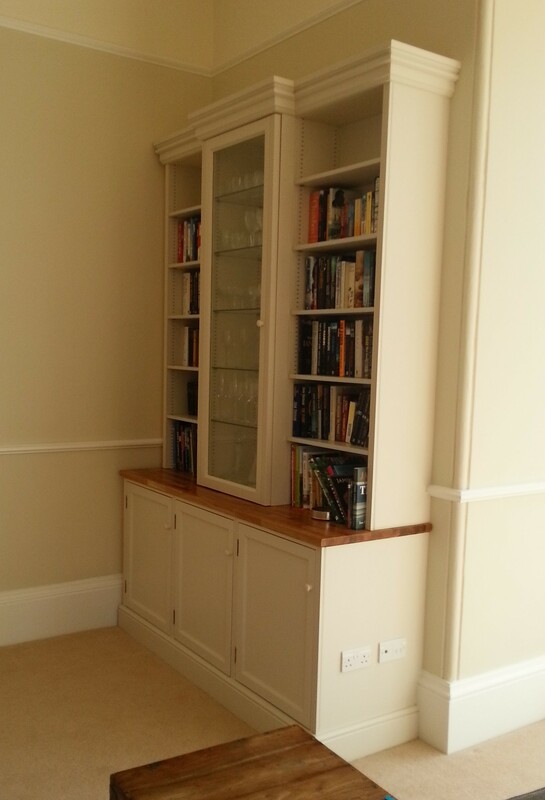 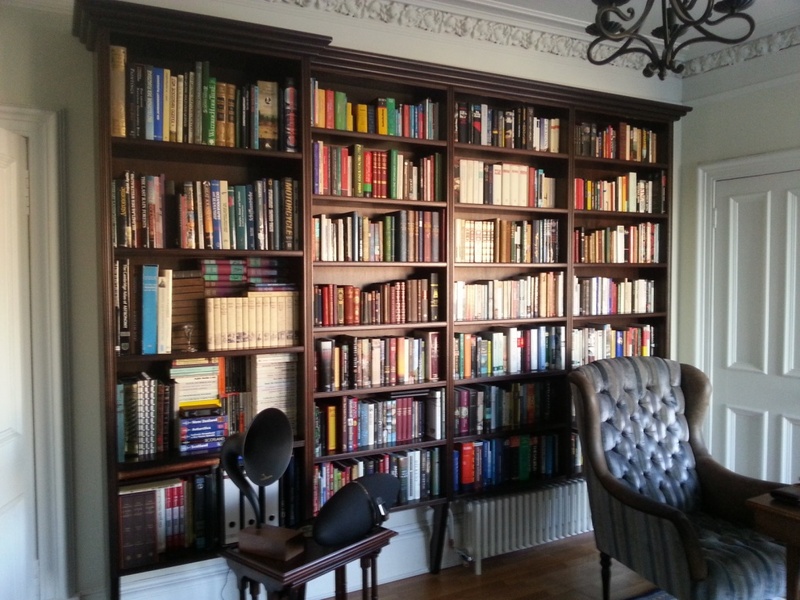 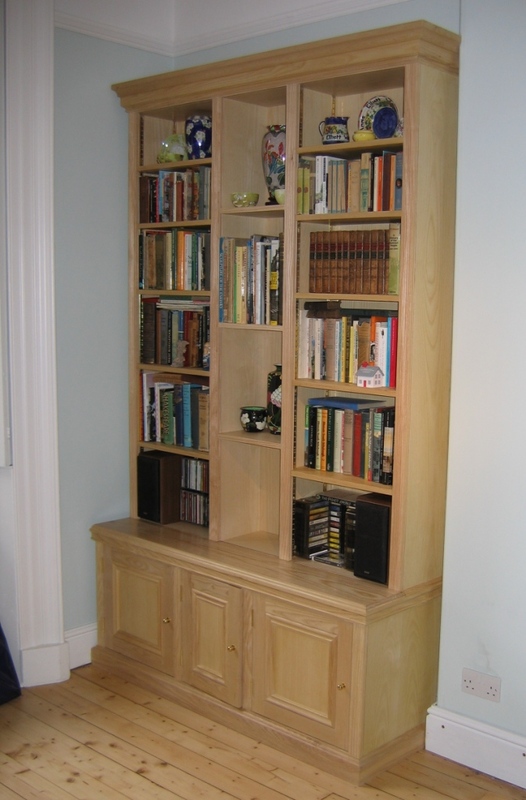 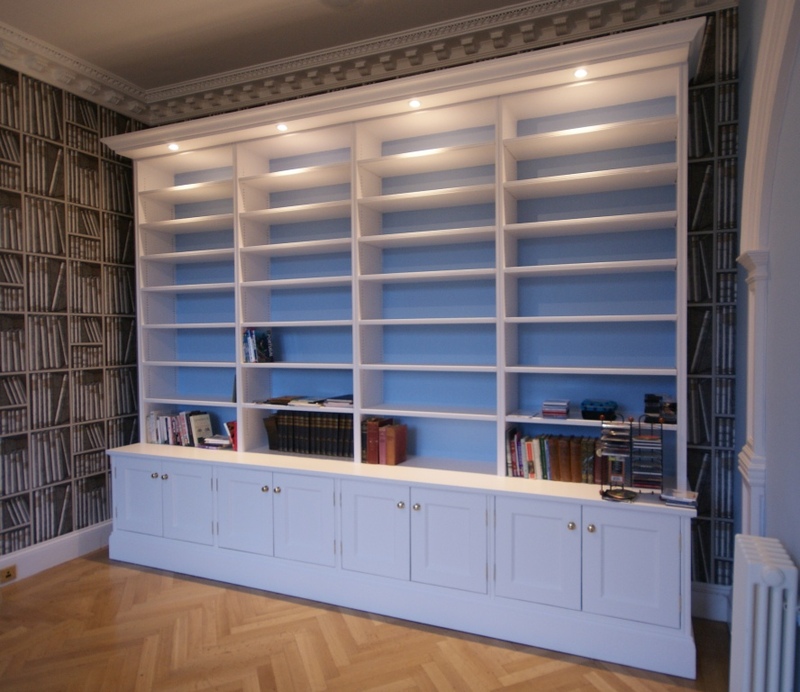 Bespoke-custom made fitted or free standing bookcases-bookshelves, cupboards, wardrobes, home office, studies and libraries are a speciality of Simon Fowler. 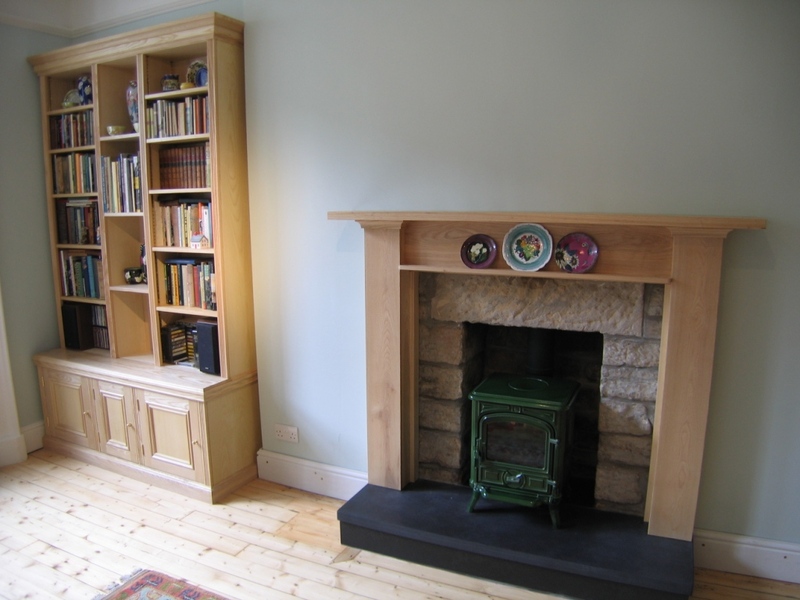 Based within & serving Edinburgh area, also including locations covering Midlothian, East Lothian West Lothian Borders & Fife areas. 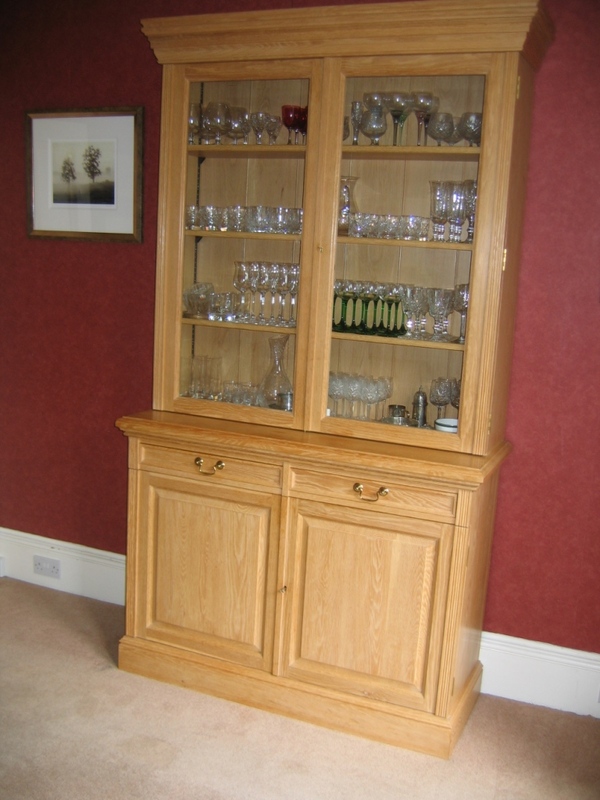 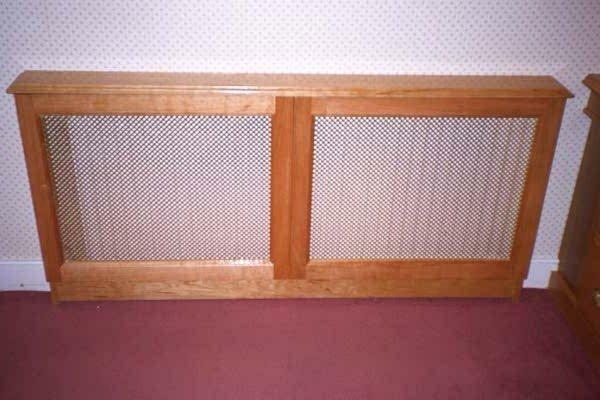 Providing location and feasibility, may also consider other parts of the UK for any specialist woodwork project. 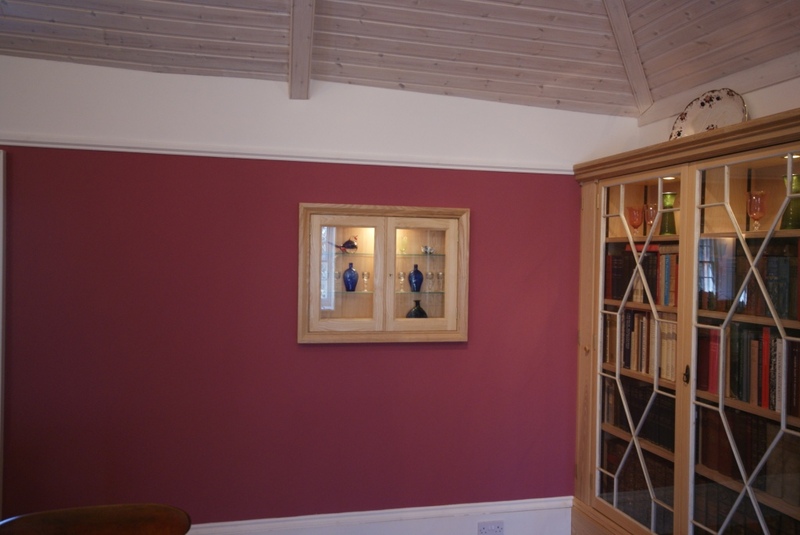 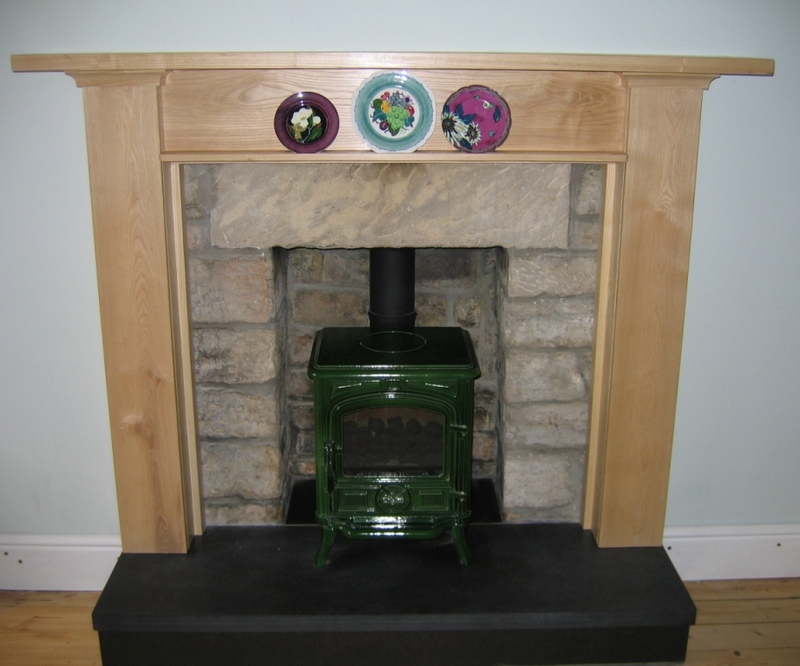 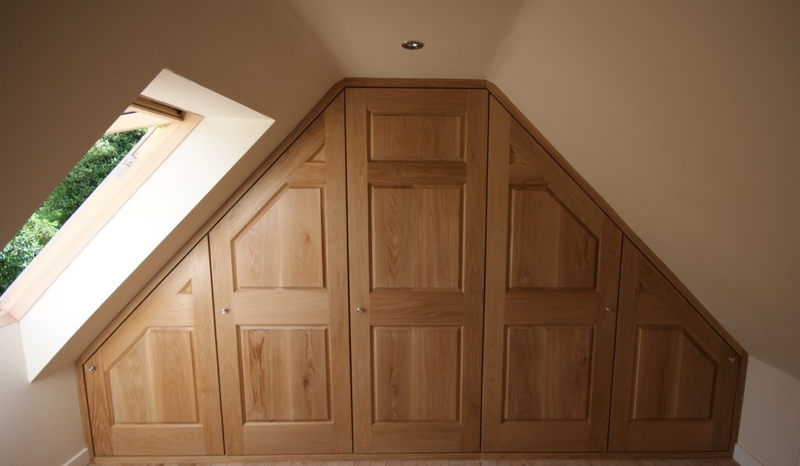 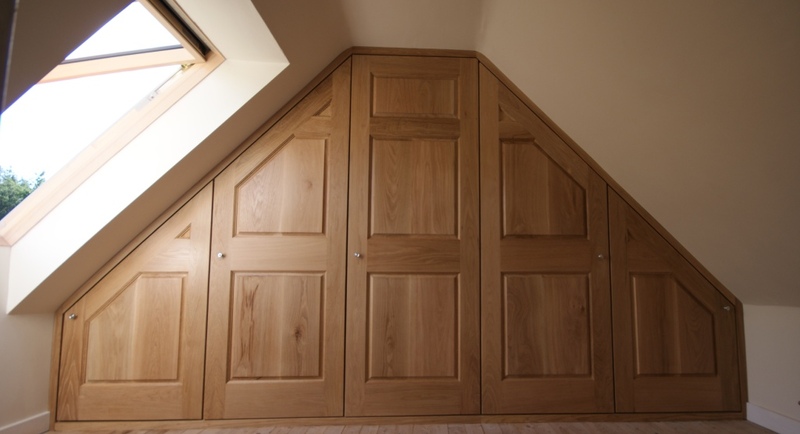 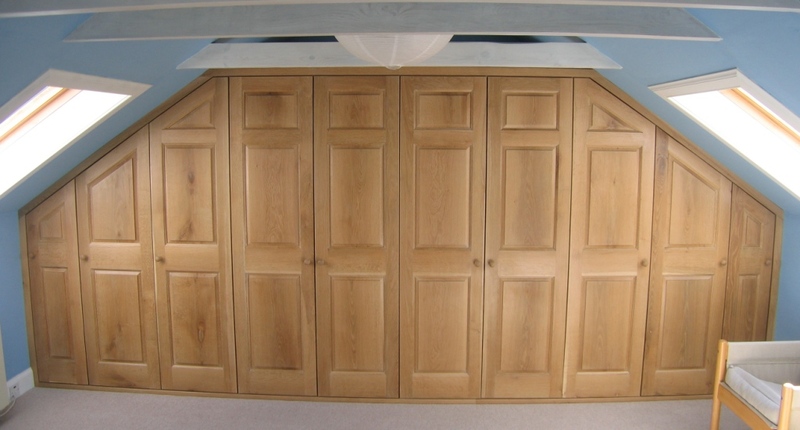 Simon Fowler Woodwork was established in 1988, offers a truly personal service, with a wealth of experience, offering high quality workmanship from initial design of proposed work to final completion of job for new & established customers. 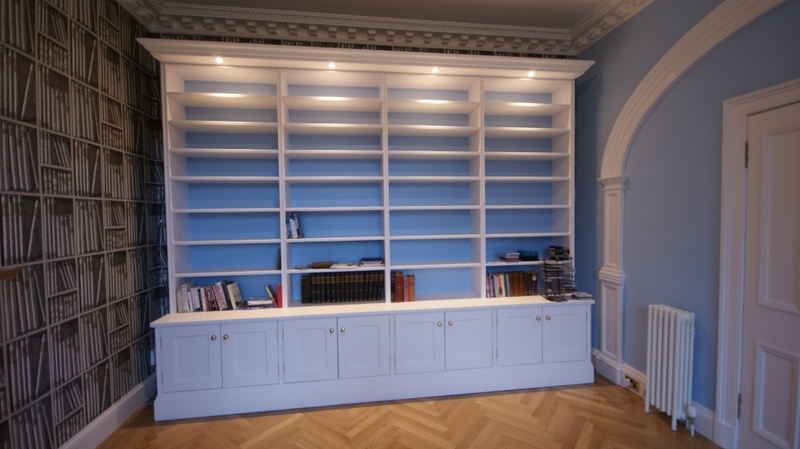 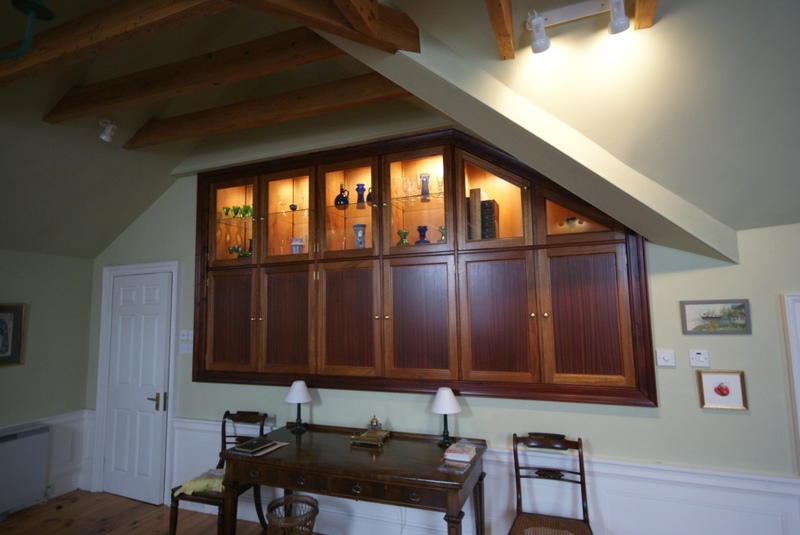 Majority of work carried out includes bookcases, bookshelves, libraries, desks, dressers, display cabinets, tables, cupboards, free standing or fitted wardrobes, timber fireplace surrounds & mantles, some kitchen work, radiator covers and high quality home office - study furniture, etc. 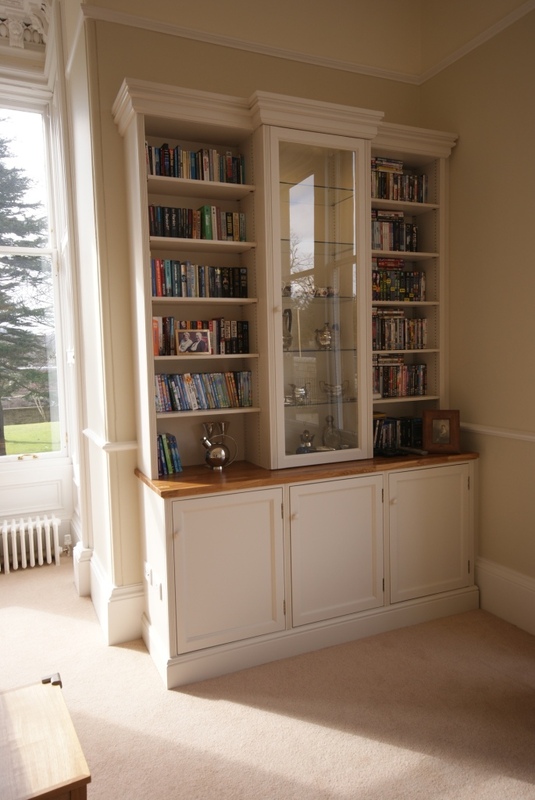 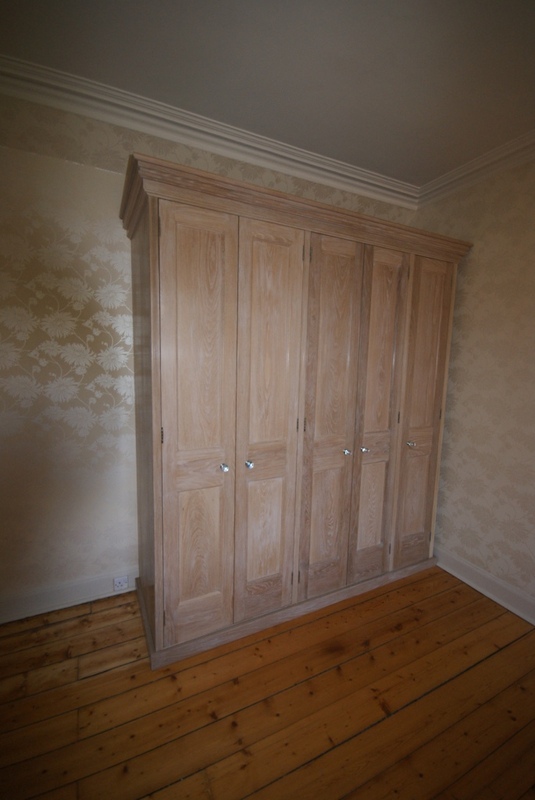 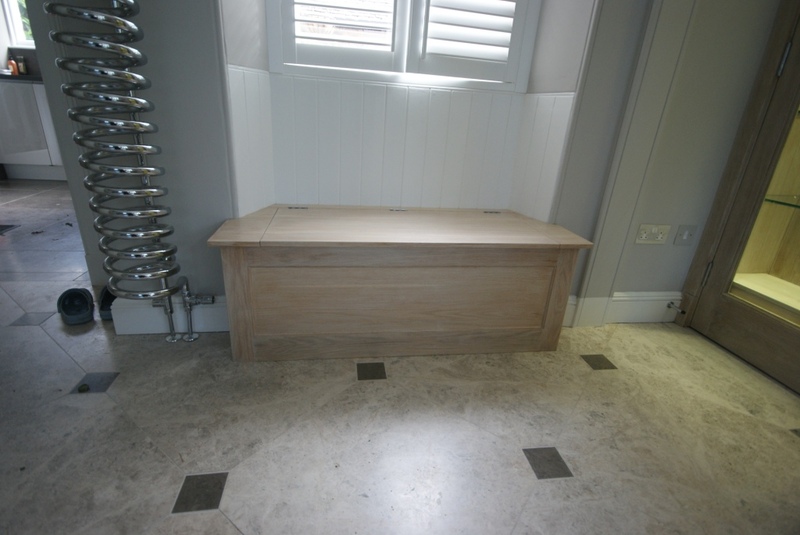 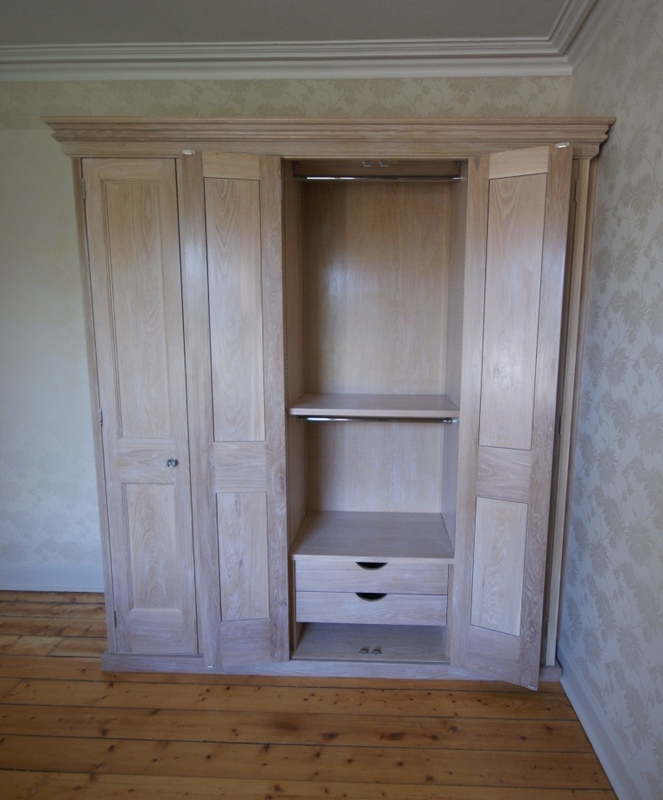 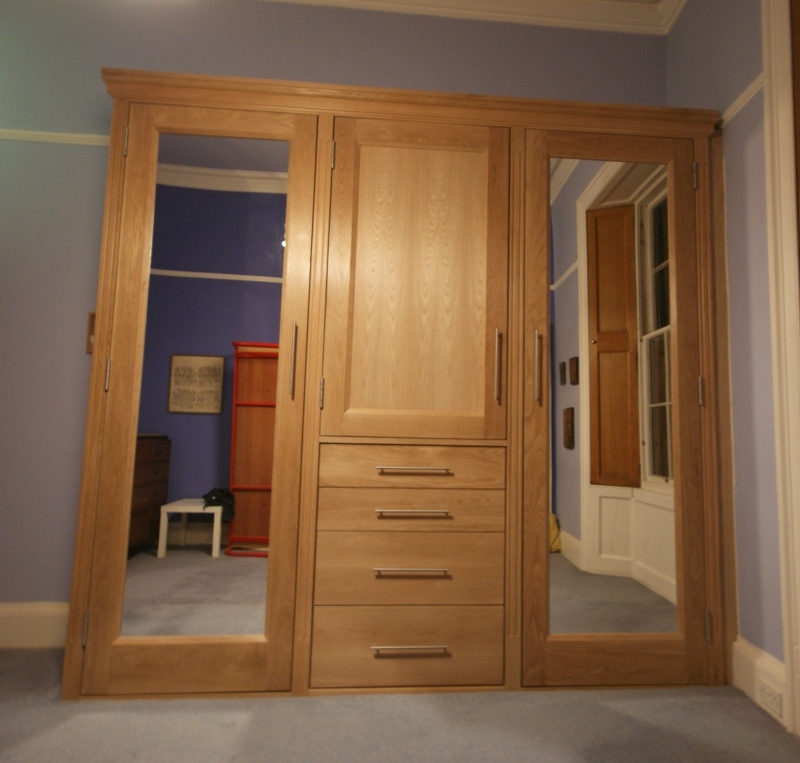 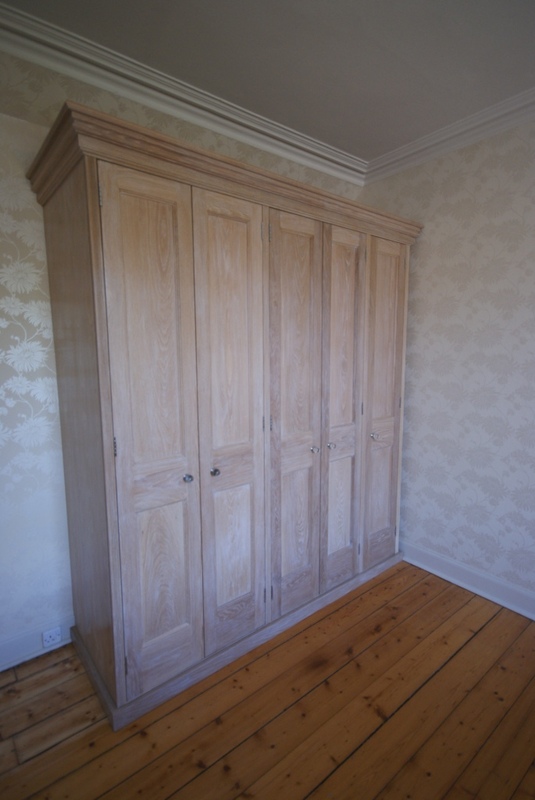 Some furniture repairs & renovation work can be carried out, also undertaking specialist architectural bespoke joinery work, including panelling & shutter work. 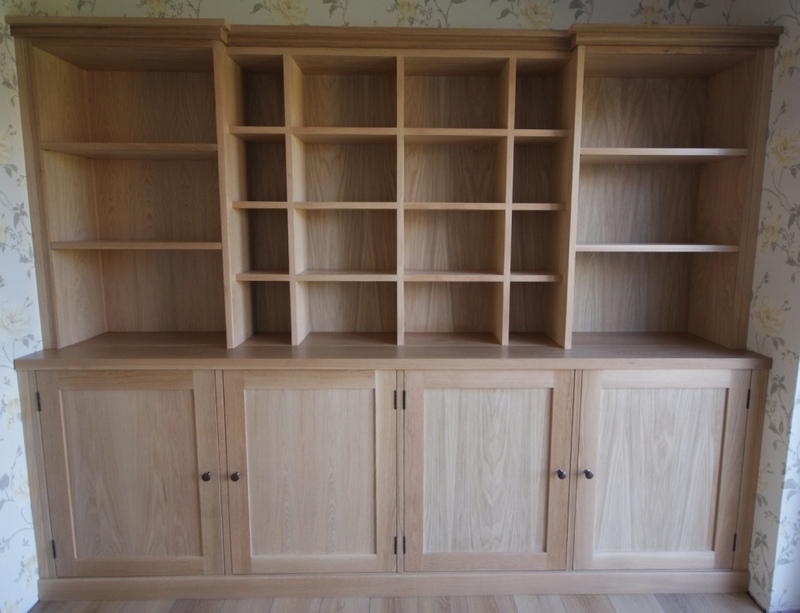 Also prepared to undertake any unusual bespoke woodwork or custom made project, should you have any particular item that you may have in mind as regards to construction that is not mentioned above, please make relevant enquiry. 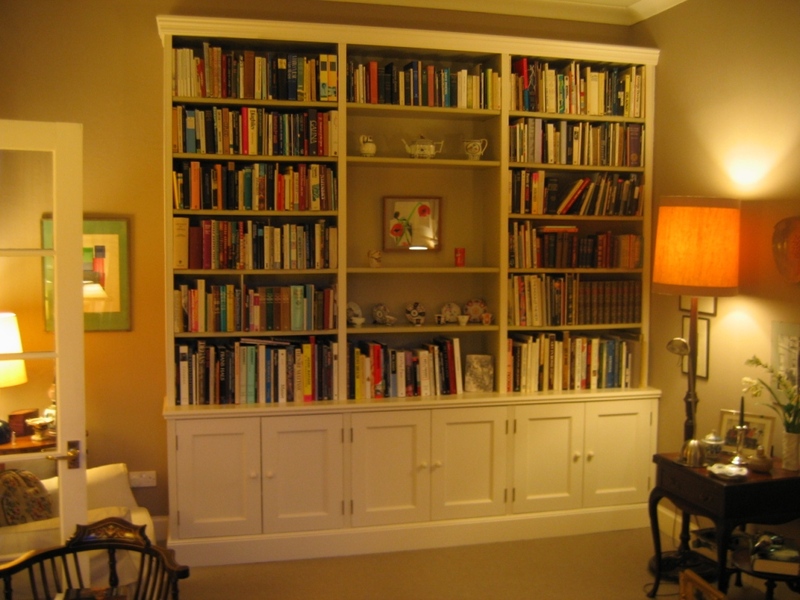 As a considerable amount of work that is carried out is bespoke & to special order, Simon Fowler does not have a range of furniture on display for inspection for potential new clients, but there are a few items shown in above sideshow, but also please browse my comprehensive work photo portfolio links to relevant required category, as there are more photos & special projects of past completed work carried out for established customers. 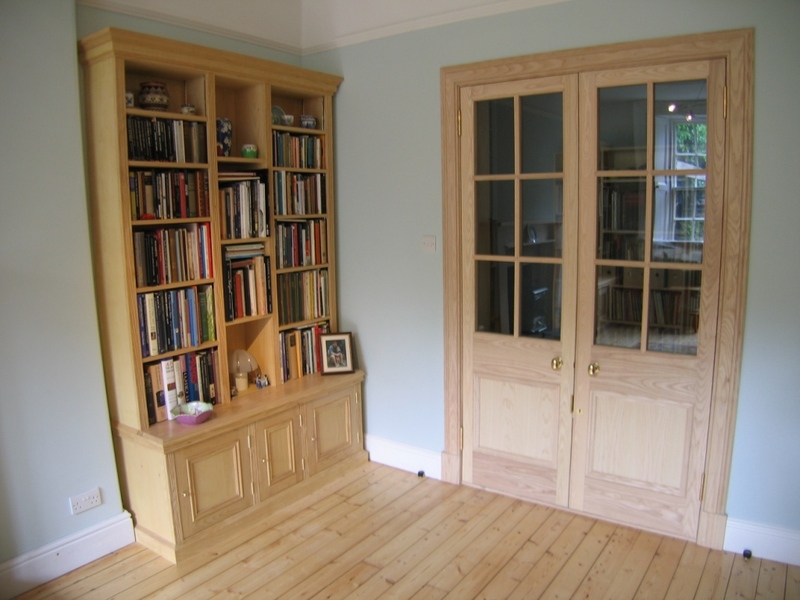 Should you have any further interest, please contact Simon Fowler, who will be happy to discuss and provide free advice and a quotation for your proposed woodwork project, so for all enquires, either telephone 0131 663 1880 or use provided email link woodwork@simonfowler.uk. 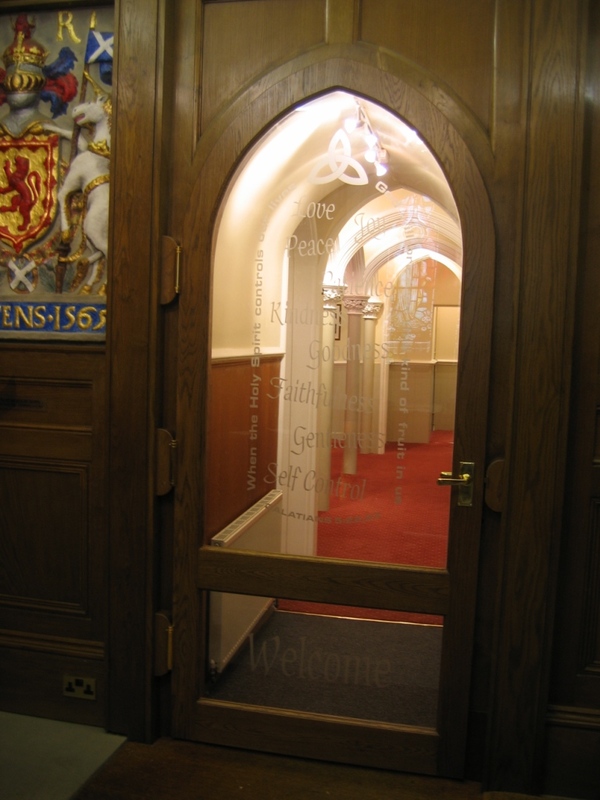 A telephone number included with your email enquiry can also be useful, as sometimes this is the easiest way to answer any questions.